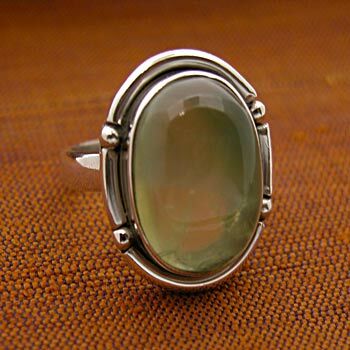 Cabochon oval shaped stone is set in a silver bezel with granulation detail. Order by size, shipped in assorted stones like onyx, moonstone, amethyst & more. Stone measures about 1" tall. Sterling silver, handmade ring.